Posted on November 27, 2015 at 7:53 am. 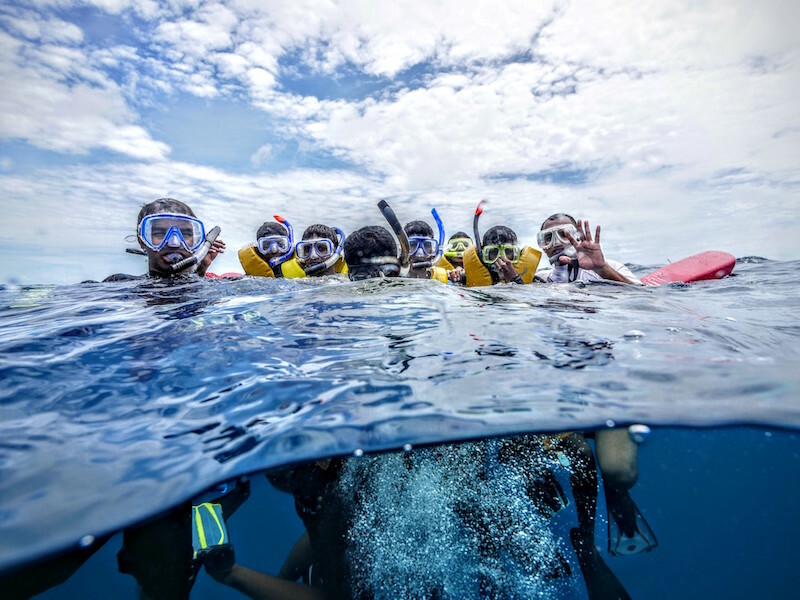 The Manta Trust has launched a marine education program for local students in Baa Atoll, with the aim of fostering and building a conservation-minded future generation of Maldivians who will claim ownership and stewardship of their environment. 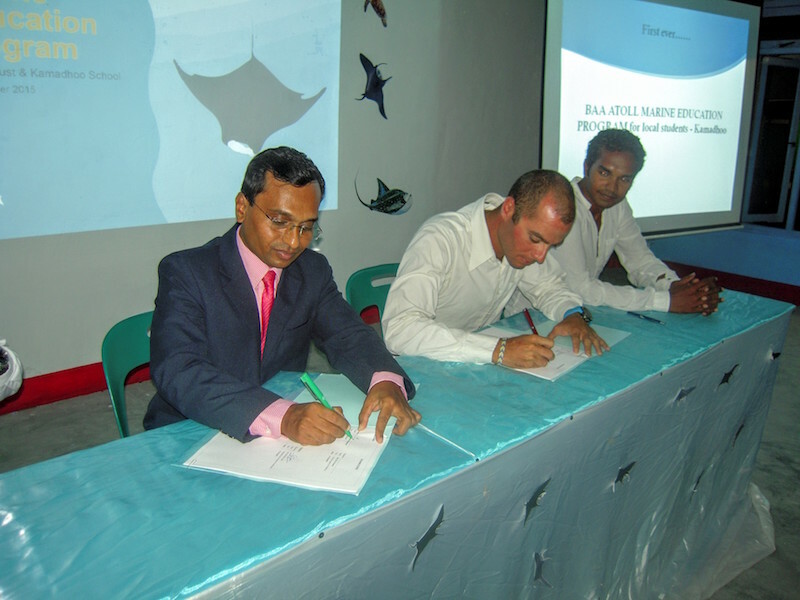 The Baa Atoll Marine Education Program for local students is a one-year pilot program being conducted with Baa Kamadhoo School. 19 students from grades 8, 9 and 10 are thoroughly enjoying the theory and practical classes. Theory classes include lectures, presentations, videos, arts and games and practical classes are conducted as filed trips to provide first-hand experience. Some of the activities include swimming with manta rays, snorkelling on coral reefs, visiting waste management centres, etc. The program is being conducted with the assistance of Four Seasons Landaa Giraavaru, where the Manta Trust is based, and is divided into 6 topics; biosphere reserve, corals, mantas and wale sharks, turtles, sharks and waste. According to Manta Trust, during these practical classes, safety of students will be given top priority. In addition to the classes, students will be assigned different types of projects such as report writing, craft making, etc. and their performances will be assessed throughout the program. Once the first batch graduates, the program will continue with a fresh batch in 2016. Baa Atoll being a UNESCO Biosphere Reserve and Hanifaru Bay MPA attracting the largest known aggregation of reef manta rays in the world, Manta Trust believes that education and awareness is the key to the sustenance of the Biosphere Reserve status and the atoll’s rich biodiversity. 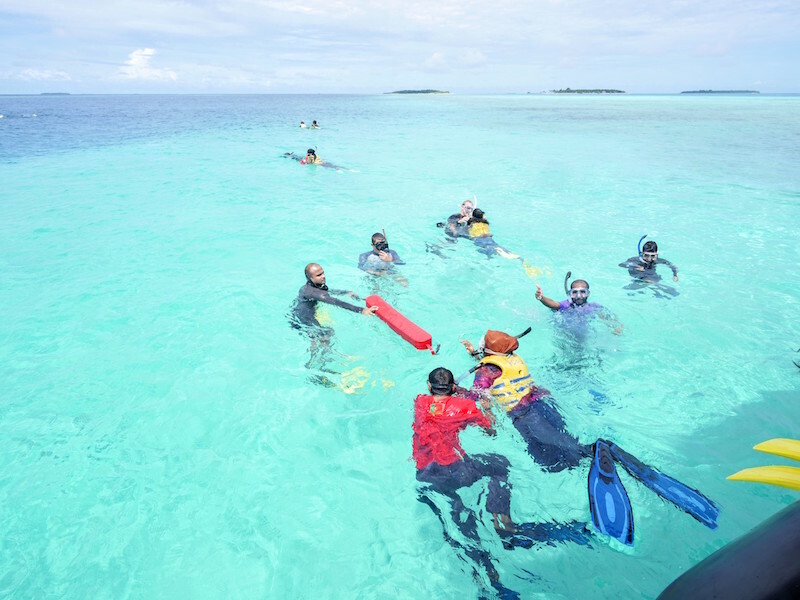 The idea of the project was conceived by a team of marine biologists in the BAARU Association (Baa Atoll Resorts United) and their target is for every resort to adopt a local island and provide a standardized marine education program. Manta Trust and Four Seasons are the first to launch this education program. Manta Trust is a UK based charity formed to aid understanding, awareness and conservation of manta rays and their very close cousins mobula rays. Their mission is to advance the worldwide conservation of manta rays and their habitat through robust science and research, raising awareness and providing education, influence and action. Manta Trust has been studying the manta ray population of the Maldives for the last decade and identified over 3,800 individual manta rays. 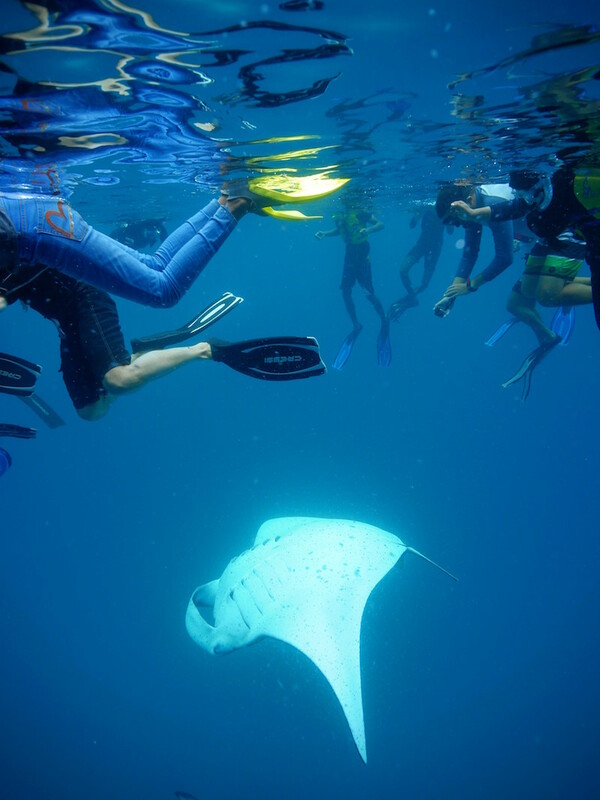 This effectively makes Maldives home to the largest known population of reef manta rays in the entire world.